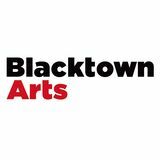 The Leo Kelly Blacktown Arts Centre is a recognised leader in the development of contemporary arts in Australia. We support artistic innovation and offers exciting, new experiences for audiences through an award-winning curated program of exhibitions, performances, workshops, residencies and events. The Leo Kelly Blacktown Arts Centre is committed to exploring dynamic, culturally diverse work that reflects Blacktown, its history and its communities. We place Aboriginal and Torres Strait Islander artists and communities at the heart of our program to develop new work drawing on issues of local and global significance.